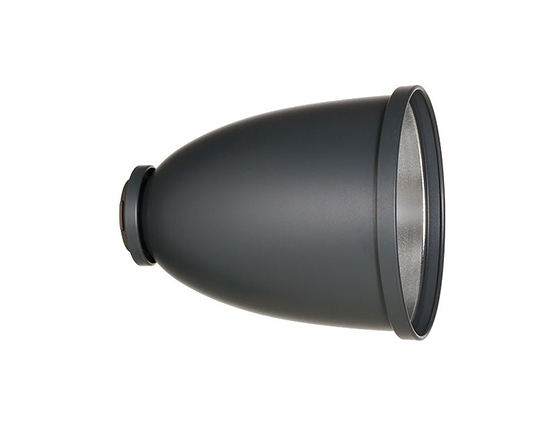 his reflector is designed for use on all Broncolor flash heads. It is considered a narrow-angle reflector. It's beam spread is 45° from the point of origin. Its front diameter is 11.5".